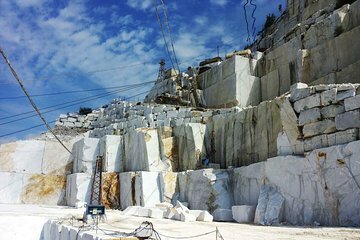 Journey deep into the jagged world of the Carrara marble quarries on this 4WD adventure. Exploring with a guide in a group no larger than six, discover the “white gold” that built the Pantheon and Michelangelo’s David. Learn about ancient and modern excavation techniques at a historic quarry; tour an open sky quarry, a terraced quarry, and an underground quarry; and taste the local marble-aged cold cut, “lardo di Colonnata”.